We collect information you give to us when you use our Website. You may use this Website to register to receive additional information on products and services, or support from us. When you register, we ask you for contact information like your name, job title, company details, telephone number and e-mail address. We may supplement the information you provide with information that is received from a third party. The information you give us either manually or electronically is stored in our databases. We collect email addresses from prospect lists of other companies or organizations. These lists of users who have explicitly agreed to receive email messages from third parties. 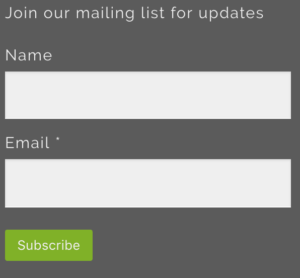 We collect email addresses via marketing events such as trade shows and exhibitions. When we collect event leads we do not include an email opt-out mechanism because we assume that people who give out their email address at marketing events are opting to receive email messages from third parties. We may contact you occasionally to inform you of new products or services we will be providing, or special offers, events or articles we think will be of interest to you. We may send you regular updates by e-mail or by post on ABchimie or related events. In addition to the information we collect as described above, we use technology to collect anonymous information about the use of our Website. For example, we use technology to track which pages of our Website our visitors view. We also use technology to determine which Web browsers our visitors use. This technology does not identify you personally; it simply enables us to compile statistics about our visitors and their use of our Website. We use this anonymous data to improve the content and functionality of this Website and our e-mail updates, to better understand our customers and markets, and to improve our products and services. We do not share, sell or distribute your Personal Data with unrelated third parties. We do not knowingly collect Personal Data from users under the age of 18. If you are a child or minor, please do not give us any Personal Data. If you have reason to believe that a child has provided us with their Personal Data, please contact us at the address given below and we will endeavour to delete that information from our databases.